I haven't been too active recently due to Conjunctivitis (or "Madras eye" if you like). Nasty stuff, makes reading, writing and obviously painting more difficult as most of the time I feel as if I had sand in my eyes. I also had my eyes examined and I got some special eye drops that were supposed to widen my pupil. Well, it worked. This made me think of A. Sapkowski's (probably the most prominent Polish fantasy writer) Witcher. There's a series of books about this character (a good one, definitely worth reading). Basically he's a medically enhanced human trained for fighting with monsters that pose threat to other humans. The likes of him also use chemical substances that for example enable them to see well at night. The side effect is that pupils become much wider and their eyes turn almost completely black. That's more or less how it looked like in my case. Funny thing, but it affects seeing so that all the contrasts seem to be much sharper. Maybe it doesn't make seeing in darkness possible but probably I would be able to make out more shapes than normally. The disadvantage is that eyes become very sensitive to the daylight. So basically what Sapkowski described in his book has some pretty solid basis in reality. As I wrote at the beginning, I haven't done much progress in recent days hobby-wise. The Harad minis are still not finished but I hope to work on them during the weekend. Once I'm done with them I will finally paint minis from a different range. 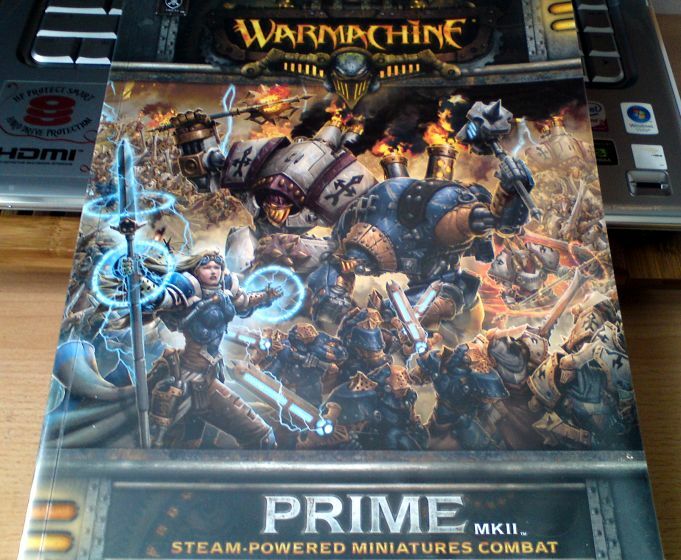 I have some WFB 40k minis that I want to paint as a commission. I ordered them a while ago but it turned out that the guys at GW forgot to pack all of them so I'm still waiting for the rest of my order to arrive. 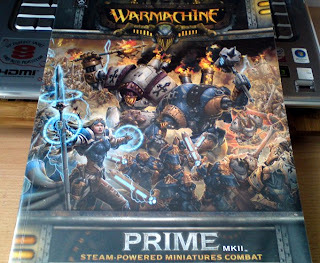 I also bought WARMACHINE Prime Mk.II rulebook. I've read a lot about this game and it seems to be a very interesting and dynamic system. 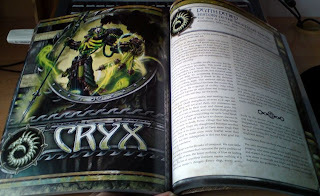 The rulebook is very nice and I really like all the artwork inside. I haven'r had time to read it. So far I've only managed to browse through it. I plan to buy an armybook, army deck, and an army starter possibly with some additional minis once I've completed all the commissions I'm working on. I really like the minis (especially the hulking Warjacks) from Privateer Press, completely different style than those from GW. They look like they could be really fun to paint. 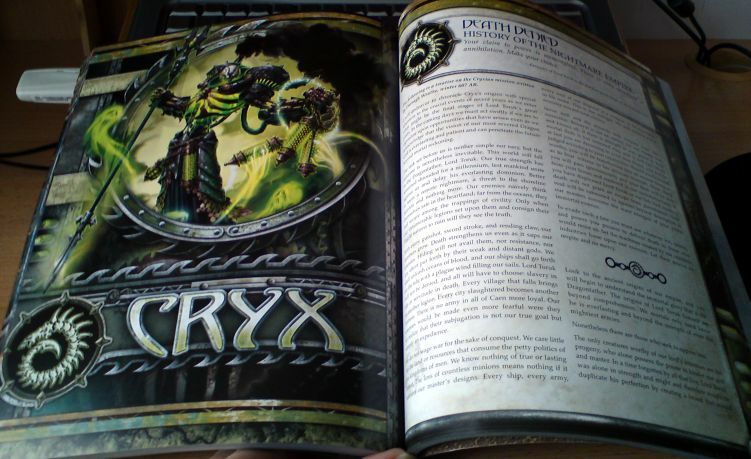 I haven't yet decided which army I'm going to collect but I'm leaning towards Cryx. Lots of cool models there and I like the feel of this army.